I had the most amazing summer. The kid’s and I had a family reunion in The Outer Banks, I took the Reader to Disney for her 13th birthday and of course our weekly trips to Lagoon. BUT out of all of that the most relaxing, inspiring and rejuvenating trip of the summer was The Sizzling Summer Retreat that Donna and Chad of The Slow Roasted Italian threw (follow #TSRIsummer to see more fun). I have loved the amazing opportunities blogging has brought into my life and this one was unexpected and such a treat! This food bloggers retreat was hosted by the FireSky Resort in Scottsdale AZ. 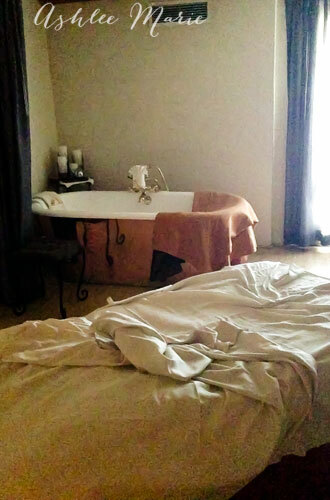 I had never been to a Kimpton hotel before so I wasn’t sure what it would be like, yowza! It was perfection. It was lovely without being too over the top (like some locations can get). High ceilings, wood, the colors were warm and inviting, everything was AMAZINGLY comfortable and easy going but still fancy with a dressed up feel. I was comfortable in my fancy dress up dinner clothes and my dressed down comfortable clothes too and totally fit in. I loved all the little touches. They had pockets of seating EVERYWHERE so you can always find a comfortable place to relax and enjoy a chat without feeling like everyone around you is listening. I love love LOVED the fire pits and complimentary S’more kits, SERIOUSLY! Perfect end to any summer evening no matter how hot. And they had complimentary BIKES you could borrow and ride around on, an amazing mall and shopping center is right next door! As a girl from Oregon I love trees, nature and greenery. When I lived in AZ there wasn’t much green ANYWHERE. I was nervous about the heat of AZ in august. BUT the hotel was built around this great lagoon/pool and garden filled green area with lots of trees and shade, so while your in a busy part of town (for amazing shopping and food) you don’t FEEL like it, you feel like your hours away. And the FOOD! We had lunch and dinner Saturday at Taggia, the hotel’s restaurant. Chef Massimo De Francesca created the most amazing dinner menu for us to enjoy! Course after course with a few surprise courses thrown in. My favorite was the Chitarra, an amazing pasta with smoked bacon, peppercorns and a carbonara-egg yolk-parmesan sauce. Mmmm to die for. But everything was delicious. Saturday morning (before all the amazing food) we all got treated to a massage at the Jurlique spa. I LOVE getting massage’s, but don’t usually treat myself. I had made three cakes in one week right before this retreat and making cakes is really hard on my back so it was the perfect way to start the weekend. They have a ton of amazing services and a great staff. I wish I’d had time for a soak in that gorgeous copper tub! One of my favorite parts of the retreat was getting to sit down with The Entwine Wine representative. I was a little nervous, since I don’t drink, that maybe she’d be offended or just blow me off, but she was so respectful and asked a ton of great questions of the bloggers! She GOT it, not everyone in the industries does! 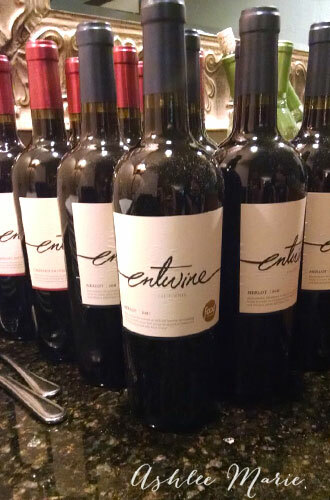 Entwine has a fun story, it’s a collaboration between Wente vineyards wine and Food Network! Does any food item need a better endorsement than being picked to represent Food Network (If you watch Chopped, or their other show’s you’ve seen Entwine)? AND for those of you who don’t know how to start wine pairing they include suggestions on the back of all the bottles! Um, brilliant! I’ve always been interested in COOKING with wine more, but nervous to start (since I have NO idea what I’m doing). I’m thinking about doing a serious on cooking with wine for people who don’t drink… anyone interested in that??? So who wants to hear about the best meal of my LIFE? NO? Just kidding, of COURSE you want to hear about it. Okay, if you live in AZ, or close enough to drive there in a day pay attention…. Rusconi’s American Kitchen. You seriously need to go there RIGHT NOW. Each course was divine. DIVINE. 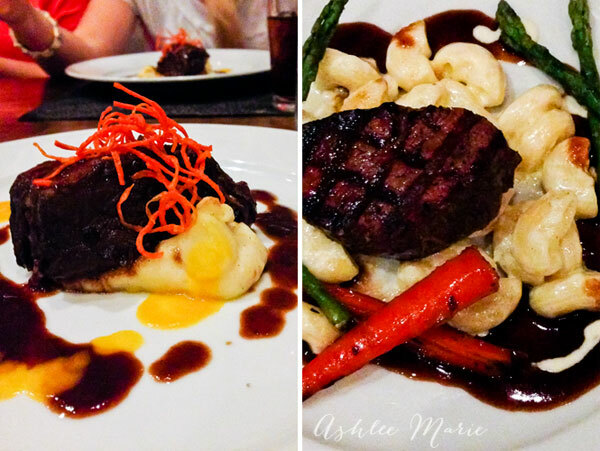 I still dream about the Ancho Chili and chocolate braised beef short-ribs over VANILLA scented potatoes. The short ribs just MELTED apart and VANILLA potatoes? crazy amazing. But the truffle scented mac’n’cheese stole my heart. I have been working on a copycat ever since and it’s just not good enough. It’s a good thing I don’t still live in AZ or I’d have gained 50 lbs in the last month. How do you get 15 bloggers to and from a restaurant in a busy metropolis? UBER! Have you guys heard of it? or used it before? We don’t have it here in UT, but it was great, and if I ever get to live in a busy city again I would def take advantage of it. often more affordable than taxi’s and more comfortable. They have an easy to use app (but choose the cheaper car options, not the fancy cars) and fast service in busy areas. The rest of the weekend was filled with casual conversation with all the other food bloggers in attendance. It’s always enjoyable to spend time with like minded/like interested people. We all love food, good food, amazing food and the conversation was easy and informative! I think I learned more in one midnight gab session with my roommate Sara (Mom Endeavors) than at most blog conferences (my new blog design is totally the result of one of those conversations). The smaller group setting was just amazing and each person brought a unique perspective to something. Honestly I’m not sure that I brought enough to the table, I was humbled to be around so much TALENT. I hope you all will start following each and every one of them, their food, pictures and personalities were friendly, open and heplful. 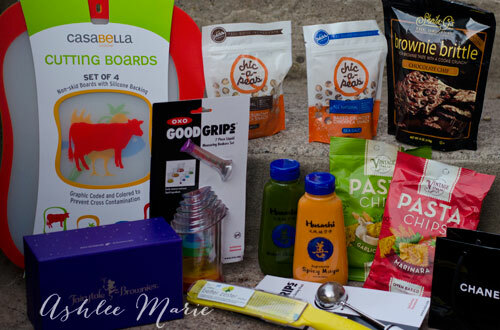 And as if all this wasn’t enough we also got some swag from sponsors that also love and support food bloggers! 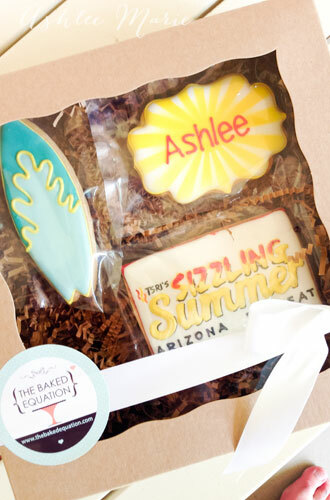 The Baked Equation made the most perfectly beautiful and personalized cookies! I love making decorated sugar cookies for my kids birthday parties… but her level of talent is amazing, I might just hire her next time and save myself the time! Brownie Brittle! It not only tastes AMAZING (that perfect mix of crunchy and sweet that I regulrarly crave) but they come in a ton of flavors, AND they seriously taste just like brownies! I can’t wait to use them in some recipes! crushed up as a crust? YES PLEASE. Our dessert that first night at Rosconi’s used brownie brittle as the crust, Mmmm. 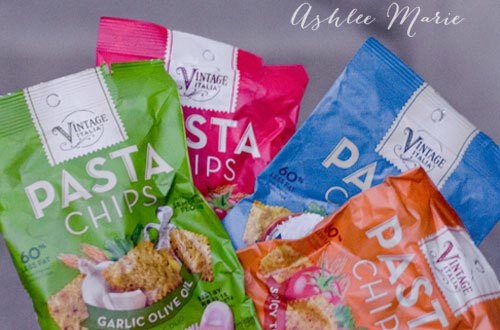 Pasta Chips – everyone I’ve shared these with has loved them. Seriously, they taste just like past! 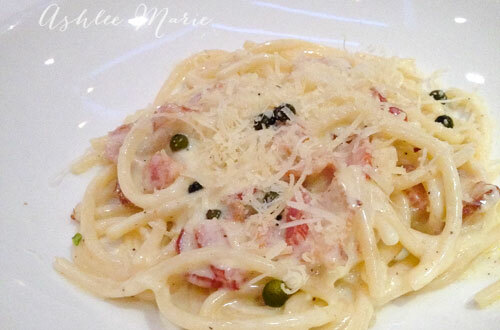 Crunchy, flavorful pasta. They are my new favorite not sweet treat (yes there are times when I don’t eat sweets). What flavor would you try first? I am seriously the most excited about this better zester by KitchenIQ. 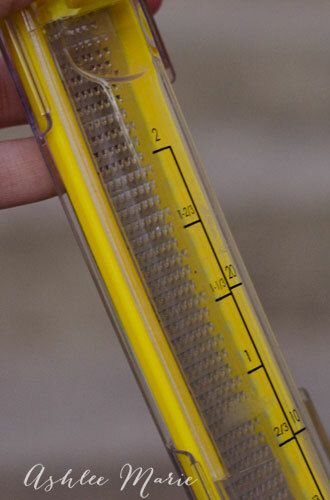 You guys KNOW I love citrus and I zest ALOT (how to freeze lemon zest). And this one not only comes with a great cover (little fingers) but also on the back side a container to CATCH the rind, WITH MEASUREMENTS! BRILLIANT. 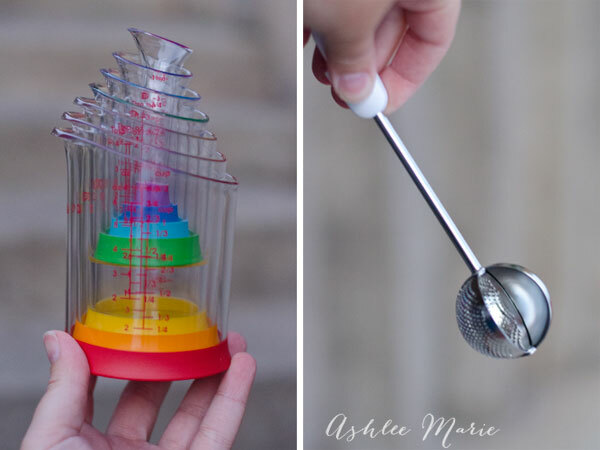 Could these colorful and cute beaker liquid measuring cups be any cuter? OXO does a great job! This dusting wand has already been broken in, multiple times, its sitting in my vanilla sugar right now, Princess uses it on her toast every morning! This silicone cutting board set (with pictures so you don’t mix your meats and veggies) has a tacky backside so it doesn’t slide around your counter. BEST FEATURE EVER. Casabella has ton of other innovative products on there site! And finally Le Creuset (seriously I will own some of their cooking ware someday, it’s simply too lovely not to own, all the color choices, gorgeous) sent use home with this colorful spatula! I love the different edges, rounded on one side (but not TOO rounded) and square on the other, perfect for any pan! SOOO good company, great hotel and amazing food, perfect weekend! 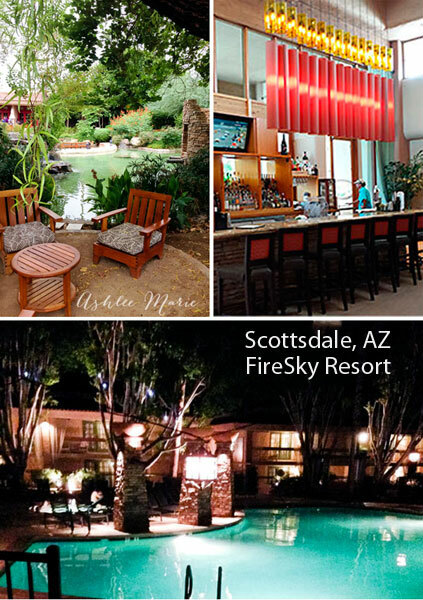 If your a foodie and your considering a trip but don’t know where to travel to head to Scottsdale, you’ll be treated well and eat even better (but bring your own company, or better yet invite me)!